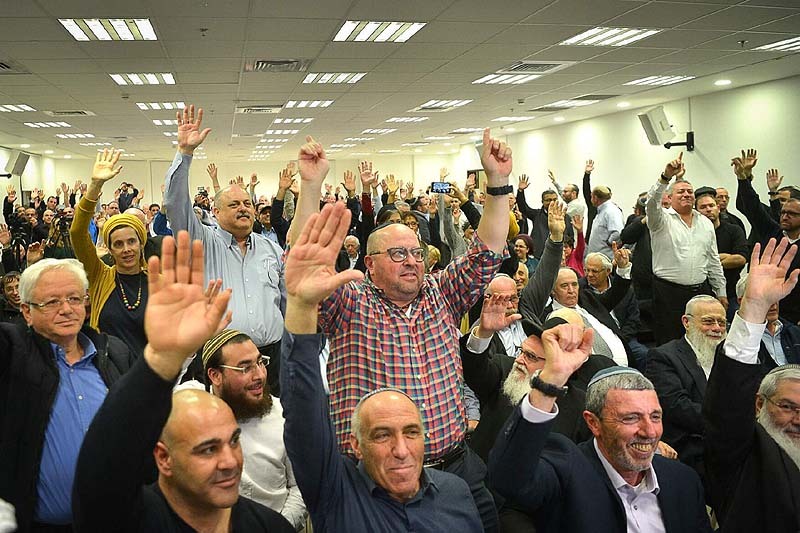 Habayit Hayehudi central committee votes Yes on an alliance with Otzma Yehudit, Petah Tikva, Feb 20, 2019. In two separate moves, the Meretz party and Labor MK Stav Shafir on Monday appealed to the Central Elections Committee in Israel to disqualify the Otzma Yehudit (Jewish Power) party from running to the Knesset, claiming that it was a racist party that denies the existence of Israel as a Jewish and democratic state. 1. The State of Israel is a Jewish state in its character, its national symbols and its legal values. Hebrew is its only official language. 2. Jewish Education: The children of Israel will be educated to embrace love of the land; mutual responsibility among the Jewish people; knowledge of the history and heritage of the Jewish people; and the treasures of Judaism. 3. Jewish Law: We will work to assimilate Jewish law in the legal system of the State of Israel. It will dissolve the distortions of the law that guide the State Attorney’s Office which seeks to convict the weak and the innocent, and restore justice and truth to the courts. 4. 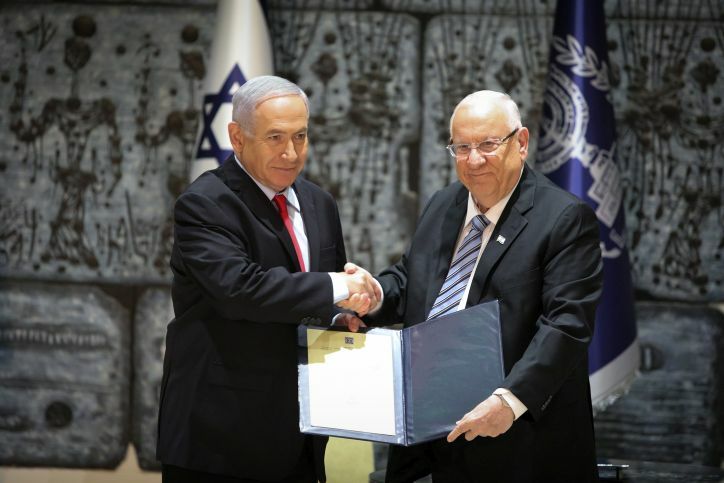 Settlement: Jewish settlement in all parts of the country will once again stand as one of the values ​​on which the State of Israel is founded, as the state of the Jewish people returning from the Diaspora to the entirety of their land. 5. Aliyah: There must be a vigorous emergency operation for the immigration and absorption of Diaspora Jews, in order to stabilize the Jewish majority in our country and to combat the disease of assimilation. 6. Temple Mount: We will restore Jewish sovereignty and ownership over the Temple Mount. The place that was purchased by King David, upon which Solomon built the first Temple, and the returnees to Zion the second Temple. Jews have yearned for its construction over two millennia of exile. 7. The enemies of Israel: The war against the enemies of Israel will be total, without negotiations, without concessions, and without compromises – which have brought so far only more wars, blood, fire, and bereavement. We seek the implementation of sovereignty over all the parts of the Land of Israel that were liberated in the Six-Day War, and the resettlement of Israel’s enemies in the Arab countries surrounding us. 9. The IDF: Restore security and deterrence to IDF soldiers. The IDF will shift from defense to attack, from the policy of “enemy containment” to the destruction and annihilation of the enemy. We will restore the value of seeking victory to the IDF. 10. Society: The mitzvah of “Your brother will live with you” will stand before our eyes in all economic processes, employment and housing, including strengthening and encouraging the standing of the Jewish family, encouraging births, and combating abortions. 11. Regime and morality: The values ​​of the Jewish state will be according to Jewish morality, and the regime will be a Jewish democracy, which preserves the interests of the Jewish nation-state as a value that repudiates all universal values. Our general rule is that we don’t want to lose our Jewish state neither in war, nor in peace, nor through the failings of Western democracy. 12. National lands: We endorse a determined protection of national lands, through orderly legislation and uncompromising war on land robbery in the Negev, the Galilee and the center of the country. We support the renewal of the land redemption project in the spirit of the Jewish National Fund. 13. Economy and society: We will open the economy according to the method of “Jewish capitalism.” The state will save billions of shekels from the reduction of the defense budget following the removal of the enemy from our midst, and some will be directed to infrastructure development, strengthening the industry, as well as providing assistance to small businesses, strengthening construction and creating jobs in the periphery. In addition, regulations and bureaucracy will be reduced and resources will be allocated to strengthen weak populations, integrating them into employment, with assistance to the elderly and disabled. To be clear, this platform is a little hazy on issues such as how would a government led by Jewish Power determine who is an enemy and should be encouraged to leave, and who is a peaceful friend and can stay. Is it, essentially, all non-Jews out? Is there a litmus test? 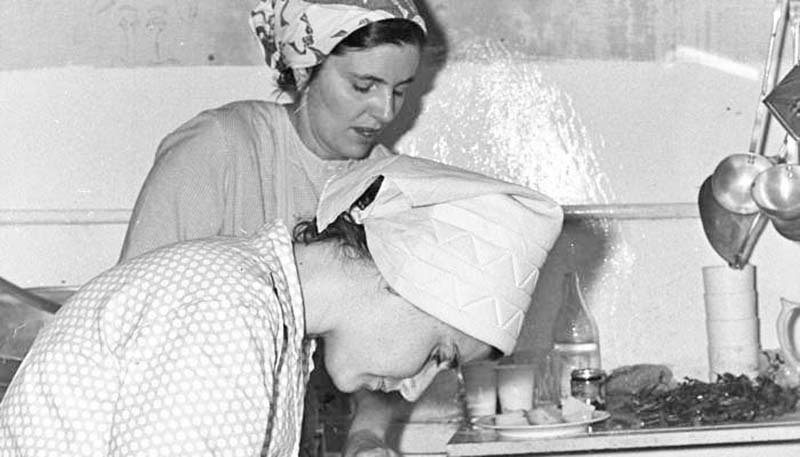 Is there a well-defined “Jewish morality?” How do you combat abortion? Does it involve legislation to criminalize it? And how exactly do you balance reducing the bureaucracy and at the same time engage in numerous subsidy programs that could easily bankrupt the state? And how do you reach a consensus on the ills of Western democracy? Is Western democracy the enemy? I could probably find a hundred similar problematic notes with the platform. Many of them have to do with its being the result of collaboration by a small number of ideologues who live in an echo chamber, for whom many of these points have been resolved years ago, and who neglected the need to be more communicative, for the sake of honest outsiders (such as myself). There are a lot of statements in this platform that take for granted what Jewish values are, never mind Israeli values. Frankly, it is a typical manifesto of a fringe group with a history of being a radical enemy of the establishment and of unrestrained persecution over their convictions. The authors very obviously do not recognize Judaism as being a voluntary, personal and ever-evolving path – which is why I am extremely relieved to know that they will never be in charge in Israel. But I am also aware that by the time their spiritual leader, the late Rabbi Meir Kahane HY’D, was expelled from the Knesset—by mostly his right-wing “friends,” his party, Kach, held as many as eight seats in the polls. So it’s probably safe to say that between 6 and 7 percent of Israeli voters would give serious consideration to voting Jewish Power in the not too distant future. Personally, I’d like to see a better reasoned and less combative platform – with no need to change or moderate the party’s beliefs. I would be very pleased to see them bearing down on Prime Minister Netanyahu from the right, against the concessions he is likely to accept come “Deal of the century” time.